EmergencyList is based on an award winning system originally built by Dr David Nunn, a Consultant Anaesthetist at Norfolk & Norwich University Hospital (NNUH), where his system has been in use since 2007. After repeated requests for the system from clinicians, anaesthetists and theatre coordinators that had moved on to other NHS trusts, Dr Nunn approached Accent Design to develop a more robust version of his system that could be configured for different organisational requirements and integrated with different hospital systems. As this new version of the system was developed, new features such as starvation times and support for government incentives were added, along with new safeguarding and data governance measures. Dr Nunn received his undergraduate training in Oxford, prior to moving to Cambridge to do his PhD in intracellular calcium signalling and the inositol trisphosphate second messenger system. He completed his clinical training in Cambridge, and has remained in East Anglia since qualifying. His current interests are in medical information systems, and has written a number of medically-based computer programs. As well as the emergency operating theatre booking system, these include online cardiac risk calculators for predicting post-operative morbidity and mortality and an intranet-based multiple choice question program for assisting other anaesthetists in their continuing medical education needs. 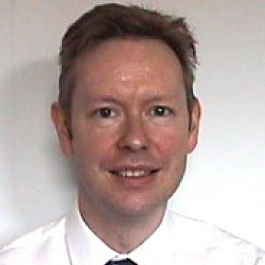 He is also on the audit subcommittee of the Vascular Anaesthesia Society of Great Britain & Ireland and has set up a national audit database for patients undergoing abdominal aortic aneurysm surgery. Accent Design is both a creative studio and software development agency based in the heart of Norwich. Established in 1990, Accent has built its services over the years and now offers a full creative service across print and web as well as development of bespoke software applications and mobile apps. Accent works with clients of all sizes, both locally and nationally, across private, public and voluntary sectors. Accent has worked on a number of healthcare systems, including its work with Norwich Anaesthetists Group and the NNUH Hospital Arts Project.